Do you have a Thomas & Friends fan? 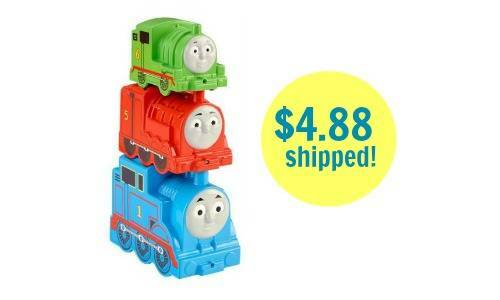 Right now Walmart is offering the Fisher-Price My First Thomas & Friends Stacking Steamies for $4.88 (regularly $9.84)! Plus, you’ll also get FREE shipping! This would be a great inexpensive item to have on hand for a birthday party or shower.